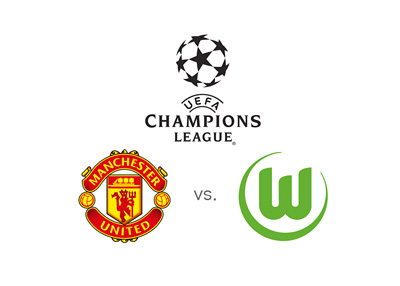 Manchester United host Wolfsburg on Matchday 2 of the UEFA Champions League group stage on Wednesday, September 30th, 2015 at Old Trafford. Wayne Rooney and his United teammates lost their first group stage game away to PSV with the score of 1-2. This makes the upcoming match against the last season's Bundesliga runners-up that much more important. Man United are on a three game winning streak at present. On the weekend they climbed to the first place in the English Premier League after beating Sunderland 3-0. Wolfsburg won their first UCL game against CSKA Moscow 1-0 at home. Their unbeaten Bundesliga run ended at the hands of Bayern Munich a week ago even though Wolfsburg played well and held a lead at halftime. The game spectacularly ended 5-1 in favour of Robert Lewandowski and co. On the weekend, still shell-shocked, Wolfsburg drew with Hannover at home 1-1. The in-form Man United are the favourites to win this game according to the odds. Will Louis van Gaal's team be able to continue their positive momentum and clinch an important win on Wednesday, or will Wolfsburg be able to shrug off their recent form (as well as the financial troubles their parent company is in) and come up with a big win at the 'theatre of dreams'? Let's see how things play out in Manchester.